Need to carry your bible, organizer, or other book? This case will do the trick! 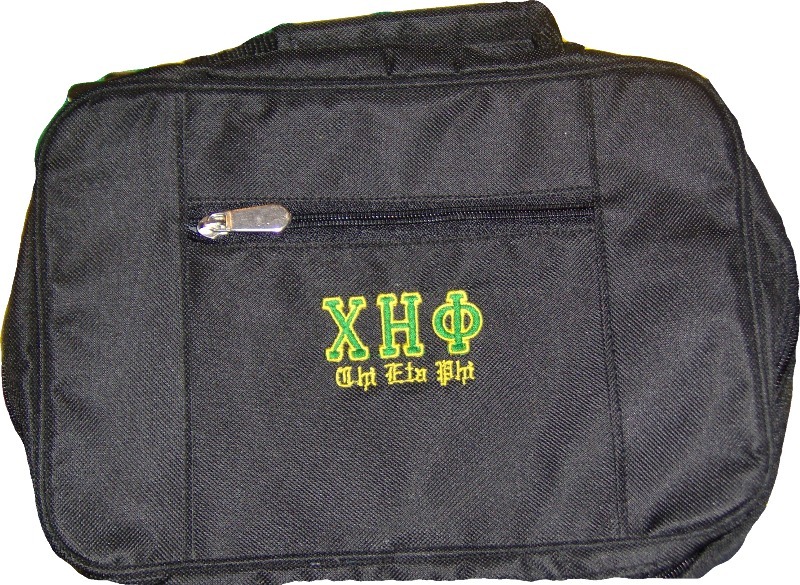 Each case measures about 12" by 6" and features a large zippered pocket on the front as well ase a comfortable handle. A large bible should fit with no problem.